Friday has been traditionally known as ‘Pizza Night ‘ at our house. In today’s post I’m sharing some growing basil tips to create an amazing grilled pesto pizza recipe. Fresh is best… be sure to check out the basil growing tips below. Pre-heat your outdoor grill, to high heat, with cover down. In a food processor, blend together basil leaves, nuts, garlic, and Parmesan cheese. Pour in olive oil slowly while still mixing. Stir in salt and pepper. Spoon pesto mixture onto each Pizza Parlor Crust, spreading evenly. Top with shredded or crumbled cheese. Place all four pizzas on the grill. Cover, heat for 2 minutes. or until crust reaches desired crispiness. Remove from grill, place on cutting board. Using a pizza cutter, cut into wedges and serve. Below are some basic growing basil tips that will have you baking pizza in no time. Basil is super simple to grow the summer garden. I have attempted to winter it over in the greenhouse but it just doesn’t do well in the humid cool conditions my greenhouse usually has in early winter. It’s important to realize basil needs the right conditions to grow successfully. Surprisingly, the best basil I ever tasted was from my home garden and grown from seed. The seed had fallen from the flowers of a basil plant I purchased at a local garden center. All of a sudden I had little baby basil plants sprouting up in the garden. Without delay let’s jump right into how to grow healthy basil. Avoid introducing disease by planting basil outside after all danger of frost as past and the soil is warm and dry. Don’t crowd plants … the basil does great in its own container or in a raised bed with plenty of space to grow. sweet basil : bonnie plants 2015 which does great in containers. Harvest the basil as soon as the leaves become big enough and the plant won’t be too thin if you harvest. Harvest leaves early morning or late in evening so the plant isn’t stressed. Equally important is to pinch plants frequently to encourage bushy growth. 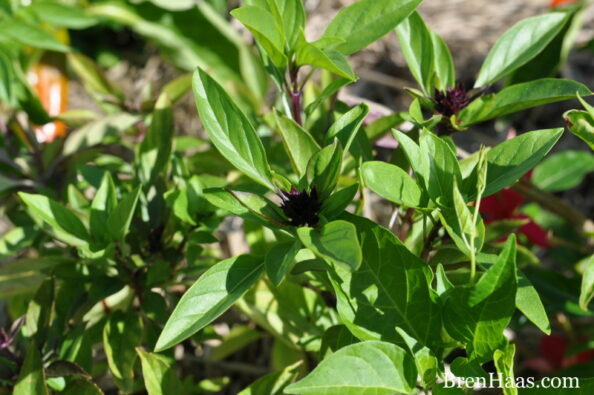 Seeds from the flower of basil – pinch plant so flowers don’t form and roots will strengthen. 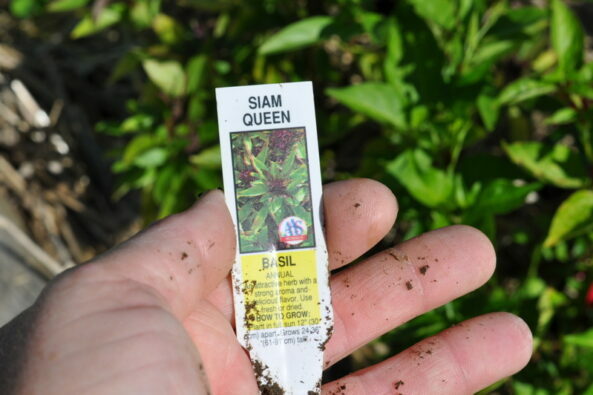 One of my favorite basil plants to grow in my home garden is this Siam Queen not to mention it’s an AAS winner. This herb plant is a proven winner because it is an All America, Selection Winner. Have you grown basil in your home garden? Furthermore, I’d love to hear about it so comment below so we can connect.